Complete line of art supplies are available with a discount on purchase. Workshop is upstairs. New Chair lift to 2nd Floor! 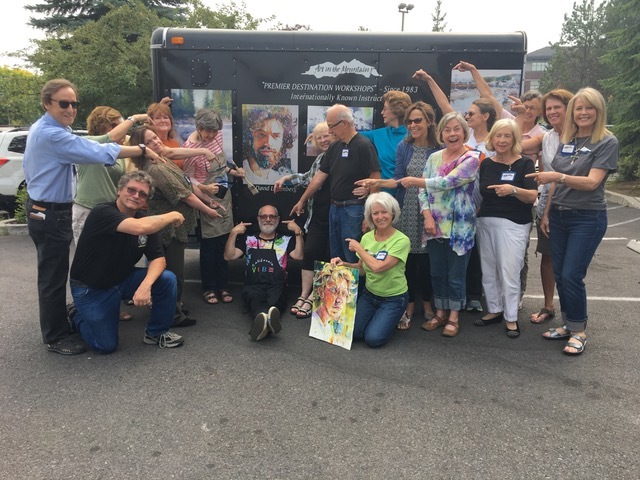 In my California Vibe workshop, you will learn watercolor portraiture that goes beyond the norm with super expressive paint applications and wildly intense colors. ABSOLUTELY NO DRAWING EXPERIENCE IS NECESSARY – You will work from photo references both provided by me and your own. A tracing technique will be utilized for all paintings. 1. Learn how to take dramatic, stylistic photographs with a Camera, smart phone, or computer pad. 2. Learn a simple technique to trace contour outlines from your photographs that can be easily transferred to any size of watercolor paper. 3. Learn to economically and with minimal brush strokes, render head structure and facial features. 4. 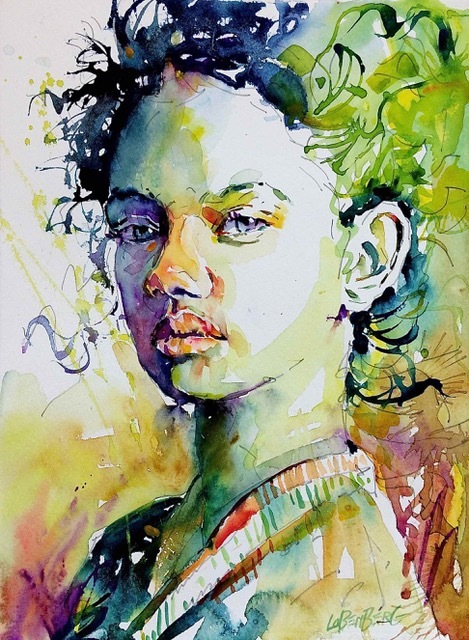 Learn how to work with a minimal color palette and the four basic water/pigment consistencies to render strong value contrasts, subtle tints, and intense hues. 5. Learn how to create one-eighth sheet (5 ½ by 7 ½ inch) “pochades” (a French word for a small painting), to quickly explore both paint application techniques and expressive color combinations. 6. Learn how to use your pochades as guides to paint your final California Vibe, beyond the norm, portraits. Depending on the duration of the workshop (a minimum of three to a maximum of five days), these six successive steps will be mastered and practiced. Towards the end of the period, you’ll have the where-with-all to follow your own path towards California Vibe Watercolor Portraiture™! No refunds after March 10, 2019.